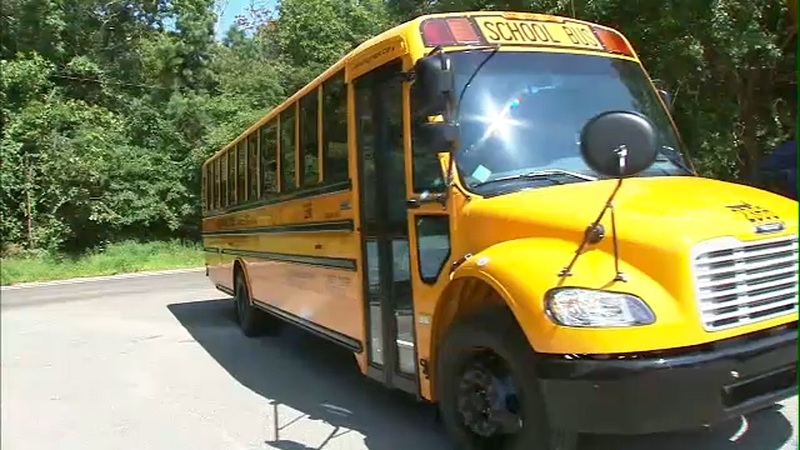 MASTIC BEACH, Long Island (WABC) -- One of Long Island's largest school districts is making plans for its students to get to school on Wednesday amid a severe shortage of bus drivers. Mastic Beach's William Floyd school district has announced detailed drop-off and pick-up times for parents. The procedures will be in effect until further notice. This comes after a newly-hired bus company was faced with a shortage of drivers because of a pay dispute. The district will offer one hour of child care before classes begin and at the end of the day to make things easier for working parents. Each school has come up with a transportation plan to address the arrival and dismissal of nearly 9,000 students.